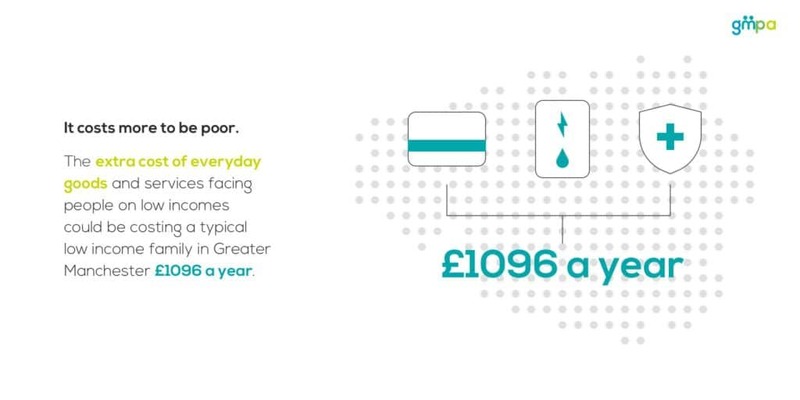 The extra costs are partly the result of variations in costs between different payment methods (e.g. 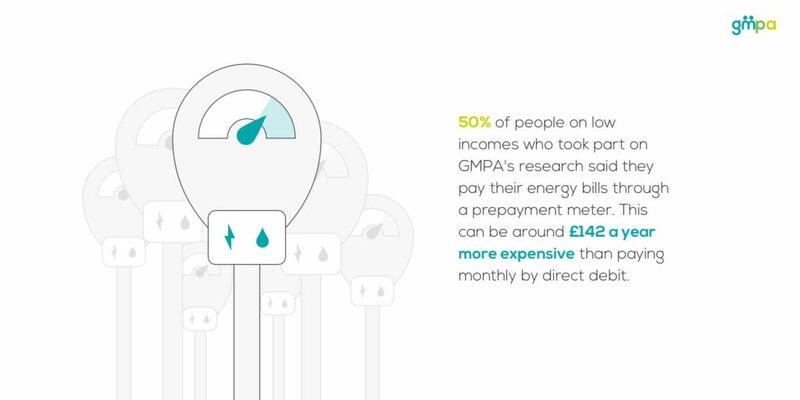 people on low incomes are more likely to pay for energy through a prepayment meter), because people on low incomes are less able to buy in bulk or because of an inbuilt disadvantage within a marketplace (e.g. higher insurance premiums for people living in deprived areas). GMPA’s poverty premium table shows how the extra costs can mount up. Two-thirds saying they don’t have access to a bank account overdraft facility. A quarter saying they are having to borrow money to pay for everyday living cots and bills. Half saying they use a prepayment meter to pay for electricity and gas. Greater Manchester Poverty Action also considered other areas of spending, not captured in the poverty premium table, where low income households could be facing extra costs. 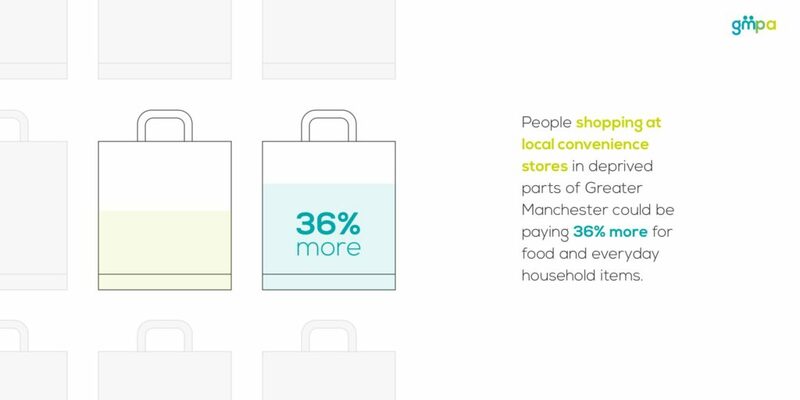 GMPA found that people shopping at local convenience stores in deprived parts of Greater Manchester could be paying 36% more for food and household items compared to shopping at a large supermarket. Local authorities acting as the first port of call for people facing a financial crisis so that people are not driven into the arms of high interest lenders. To support GMPA’s work in this area we invited people from across our network to contribute articles looking at how certain aspects of the poverty premium can be addressed. We want this to act as a resource for decision makers looking to end the poverty rip-off facing low income households. The Poverty Premium – Response to APPG on Poverty Inquiry.